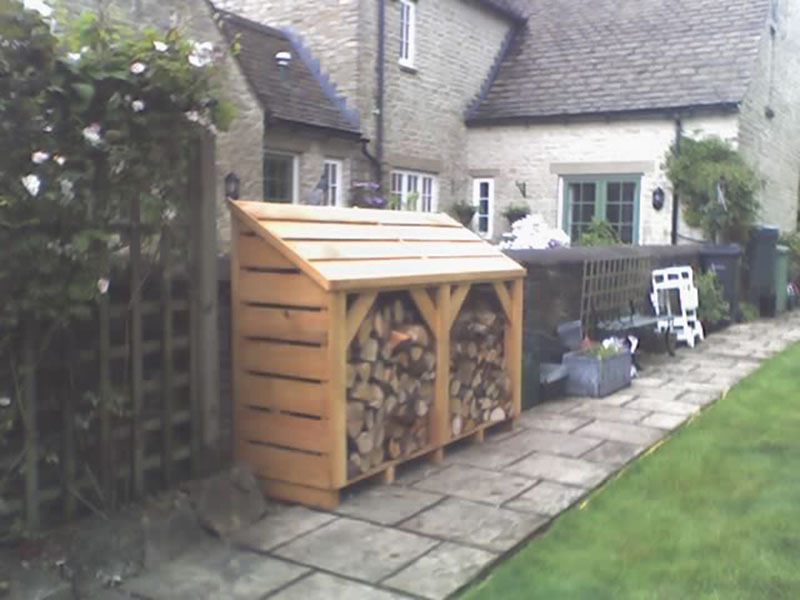 We deliver these log stores fully constructed and ready to use. Included is treatment in a choice of colours, and with either curved or straight side bars. Free standard delivery. Scroll down for more images, and click an image for a larger picture. These are approximate measurements, so if you need to fit an exact space please make sure you let us have the exact measurements you need, for example to go under a window. 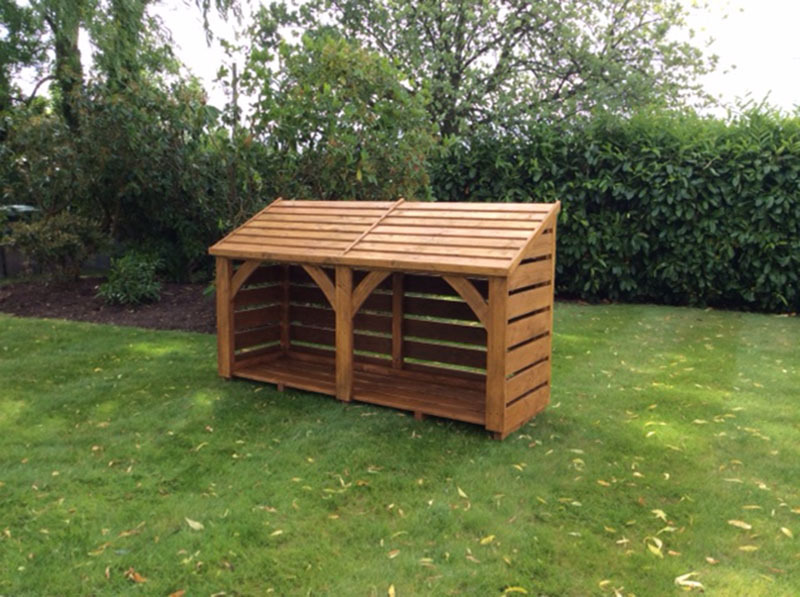 We want to make sure your log store fits where it is going! 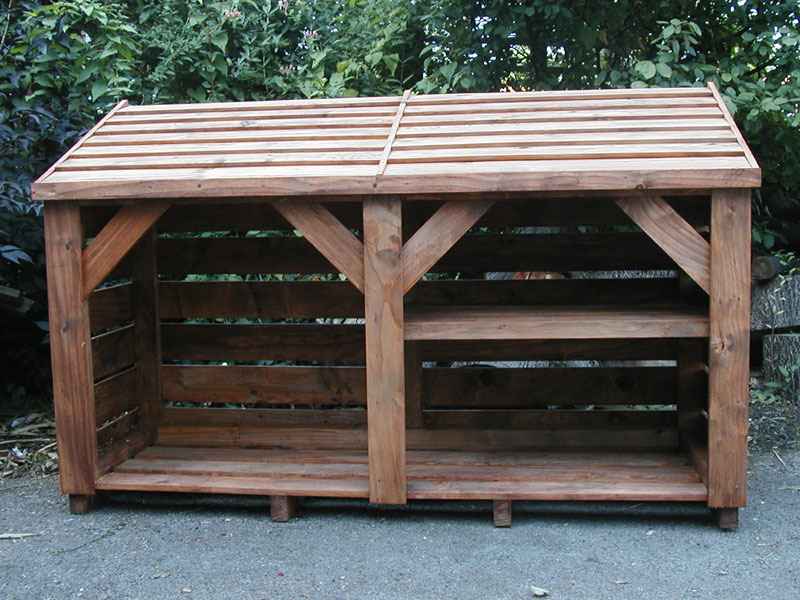 This log store will take up to 24" depth of logs and kindle, approximately 3 rows of 8in logs or 2 of 10". 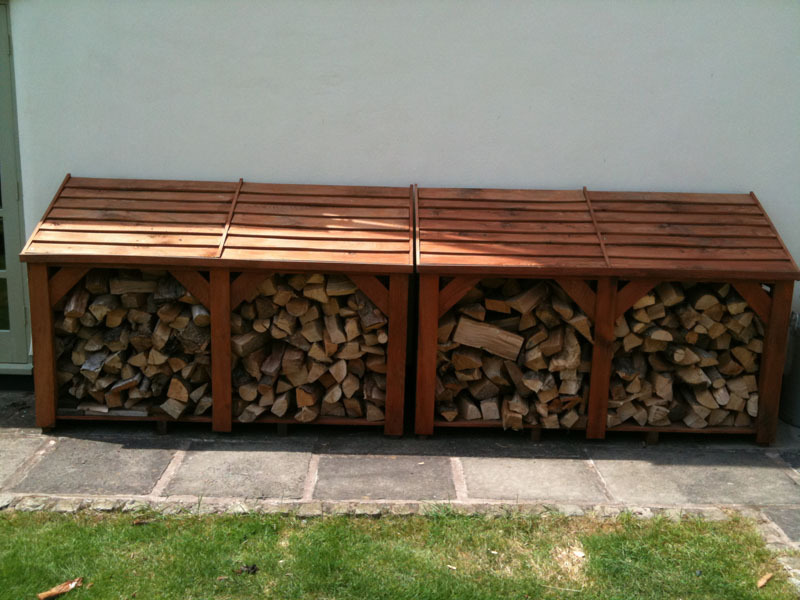 It takes approximately 1 cubic metre of logs. 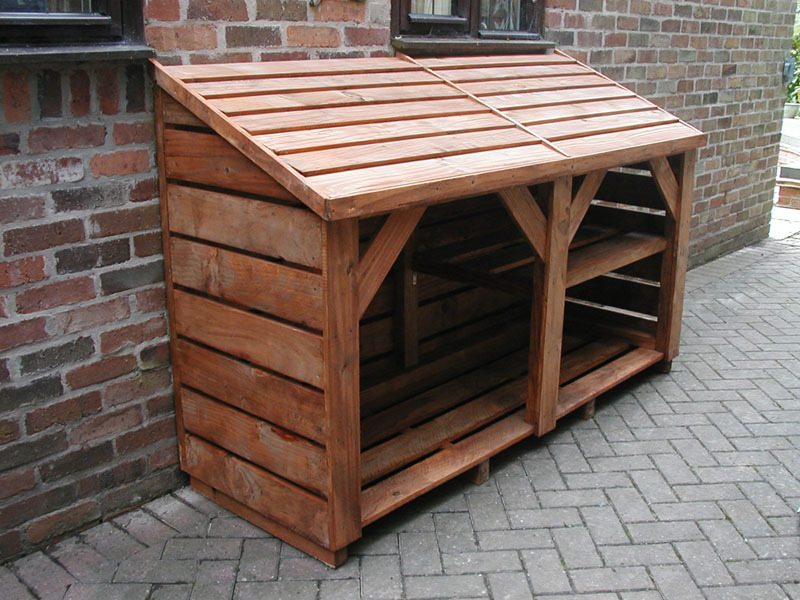 We use Blackfriars Goldstar Preservative to treat your log store. It can be treated either Light Brown, Dark brown, Cedar (a red brown) or Ebony. Please check the home page for current lead time. We do not hold stock, and make each one individually to order. If you are having a fireplace built or gardening work done and have a specific date in mind please ring or email and we will try to help. If it has to be sent by Pallet delivery, someone will need to be at your property to accept and check it. You will need two people to move it, the pallet company only deliver to the property, they do not help move it into place. Sometimes we can deliver it ourselves, in which case Andrew can help you to move and site it if required, this will usually (not always) need someone physically able to help lift and carry it at your end. If no-one can be in we are happy to leave it in a safe place for you. This will be a timed within 2 hours delivery and includes weekends. 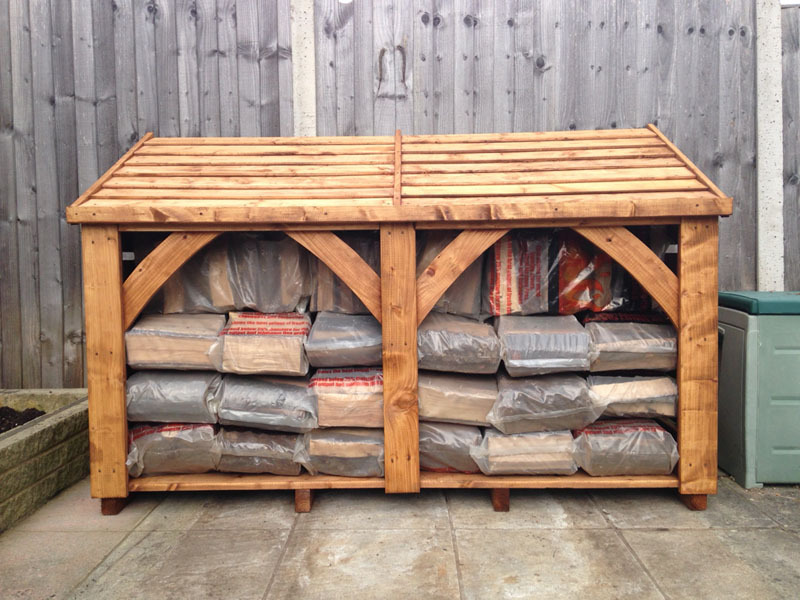 For Highlands or Islands it will be sent by pallet and there is a higher delivery charge from the pallet company. Please send me your postcode so I can get a quote from the delivery company.